← How Have the High Schools Addressed Safety Since Parkland? 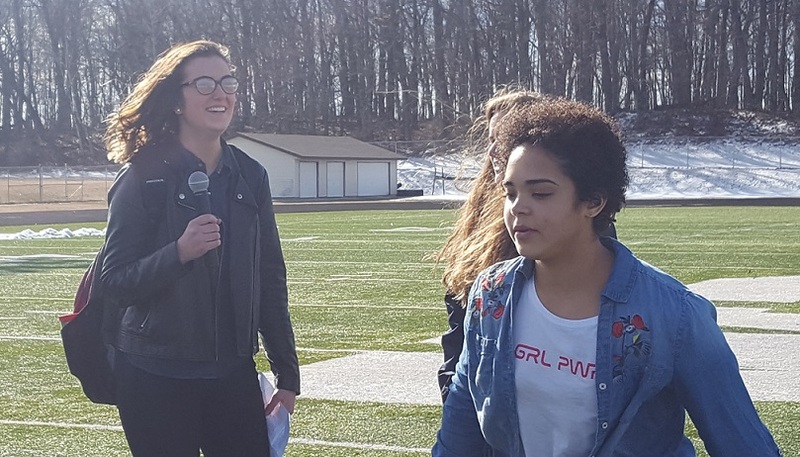 East junior Lindsay Kramer, West senior Olivia McClain, East senior Alina Prahl and West sophomore Jada Williams organized the West Bend High Schools’ participation in a nationwide moment of silence. The demonstration took place 10 a.m. Wednesday on the football field. 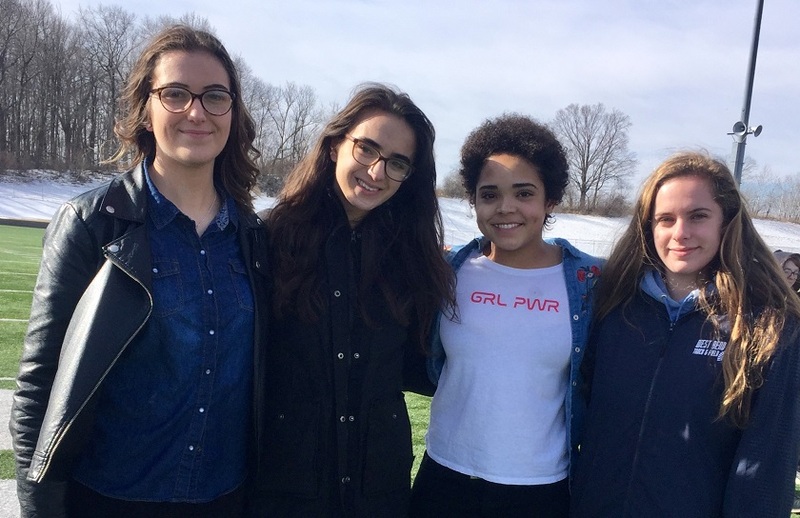 EMPOWER, a branch of the Women’s March campaign designed for youth to voice their opinions, initiated the nationwide walkout for high schools. This event lasted for 17 minutes, in memory of the 17 victims who were killed in the Parkland shooting. In West Bend, some students engaged in this organized event. However, most students remained inside the building, not wishing to participate. After WBHS administration gave its approval, the four teens started making their plans. Both Kramer and McClain said they felt that someone needed to take initiative. Kramer describes the sort of obligation she felt to organize the walkout as being prompted by the Parkland shooting, which she believes to be a turning point for the nation. From left: Lindsay Kramer, Alina Prahl, Jada Williams and Olivia McClain. Photo by Elise Marlett, Current Staff. According to Prahl, the walkout was a time when students could come together, to show respect for the fallen and also to emphasize frustration toward gun violence. Williams also believes that the goal of the walkout was to not only memorialize the lives lost, but to also show the determination of the youth community. While this demonstration was taking place on the field, inside the building is where most students remained, and classes continued. West ninth grader Lance Guttormson was among the many students who decided not to participate. He believes that the purpose of the walkout, defined by the Women’s March Campaign as a protest for gun reform, will not prevent gun violence. East sophomore Sam Campbell has similar beliefs to Guttormson, saying that the push for gun reform is not effective. Campbell planned to wear a shirt in support of the National Rifle Association as a form of counter protest, but was absent Wednesday. “There isn’t a set opinion of how people should be thinking,” Campbell said. All four of the event organizers agree that any form of counter protesting is acceptable, because anyone has a right to their own beliefs. 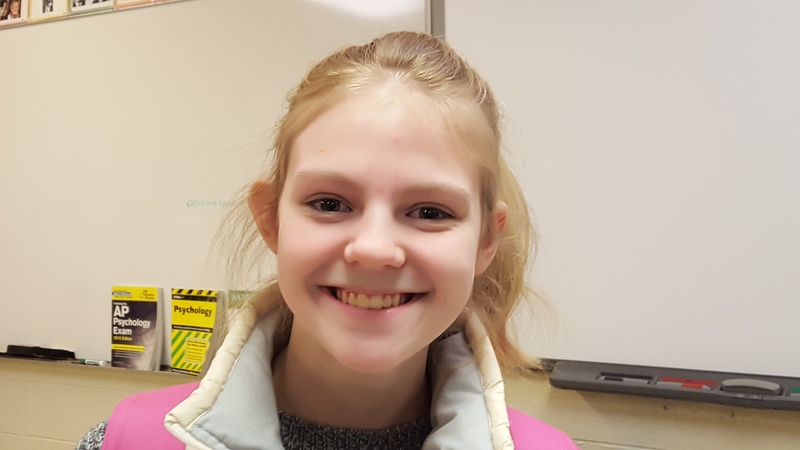 “If you truly wanted to honor them you’d do something, such as a balloon release or putting their names on your T-shirt,” East senior Lori Hess said. “Or even just writing a letter to their parents saying, ‘I’m sorry.’” Photo by Jessica Steger, Editor in Chief. Kramer added that administration requested that the event remain politically neutral. 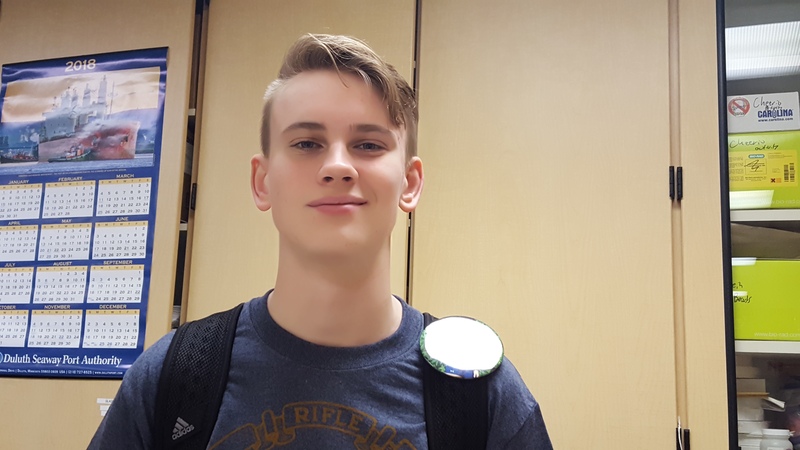 West junior Scott Henrich acknowledges that the walkout wasn’t strictly about gun control, but he says talking about the Second Amendment is inherently involved in it. When the news of the Parkland shooting was revealed to the world on Feb. 14, devastation was widespread. Prahl thinks that this overwhelming sense of grief felt by people, especially high schoolers, is a factor in the mood of the walkout as well. “We all know we are in this together, we all want to see an end to violence in schools,” Prahl said. Will this walkout, and others across the nation, have an impact on gun control? McClain says that there is no way of knowing for certain. However, she believes that the least students can do is try to advocate for change. Whether or not change is made, Williams hopes that students come out with one clear message. Additional reporting by Jessica Steger, Editor in Chief. Scott Henrich, West junior, opposes further gun control except for reforms to background checks and mental assessments. Photo by Jessica Steger, Editor in Chief.